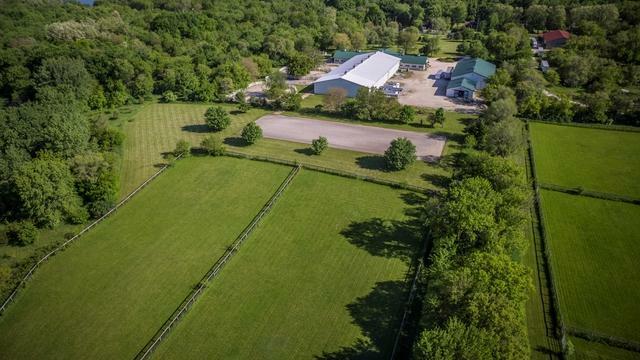 This Special 40 Acre Property is back on the market at a reduced price and an excellent value.You don't want to miss the opportunity to purchase a 26 stall, turn-key,Top Notch horse facility!. Trainer is willing to lease back all or some stalls if desired. 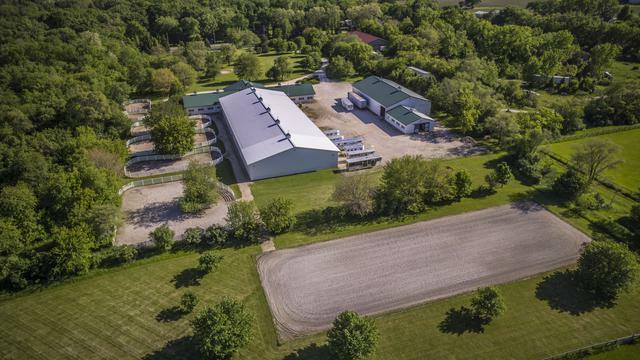 Large indoor arena with viewing room, outdoor arena and numerous turn-out areas. 1BR/1BTH Manager's apartment, private office with greeting area and full bath connect to vaulted Entrance Hall. Also commercial laundry area and boarders bath. 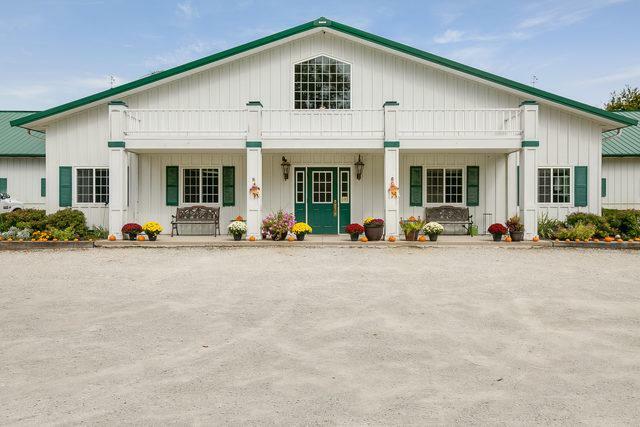 All weather paddocks, large grass fields & 15 ac. of hay field. Huge Hay/Storage barn! See Complete list of Amenities and Inclusion list online. 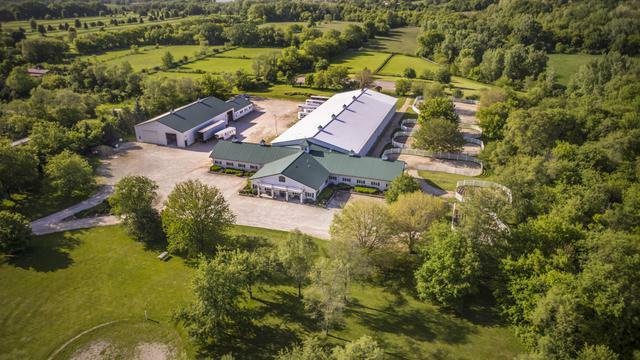 View tour with all of the Drone photography to get a more complete picture of how pretty the property is.So many uses to consider! 15 min from IL state line and I-94.